Starbucks has always offered free apps with your coffee. Now, you can download a ton of free apps for Apple devices from the Starbucks Pick of the Week without even visiting a store. A couple of years ago, Starbucks started leaving little cards out by the register that had promo codes for free iPhone and Android apps and songs you could download that day. I haven’t seen those cards lately, but guess what: the free apps are still there. And there are a ton of them. And you don’t actually have to go to Starbucks to get them. Right now, I am sitting in my house in my pajamas, and I can pull up 12 free iOS apps from the Starbucks App, Pick of the Week. And these aren’t crappy apps that would be free anyway. It’s not just a bunch of flashlight apps and tic tac toe games–these are legit paid apps that usually sell for $2 to $5 in the App Store. 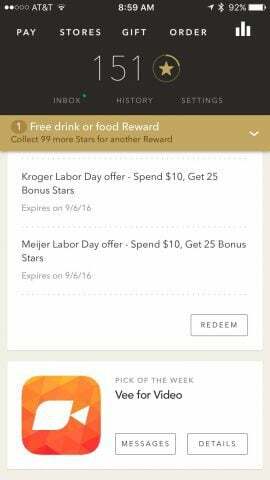 UPDATE: Looks like the Starbucks free Pick of the Week has been discontinued as of Sep. 2016. Fortunately, you can still get the Free iTunes App of the Week. Subscribe to the newsletter to get reviews of each free app as soon as it’s released. 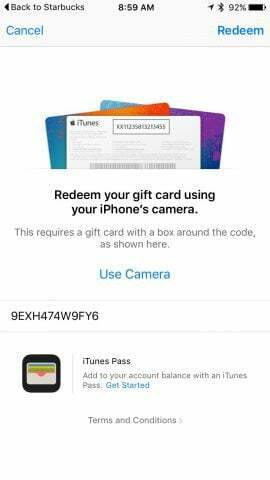 My wife has been getting these for years, but I am just now waking up to the fact that there are free apps on the table. All this time I’ve not been downloading these, it’s like I’ve been pouring money down the drain. Seriously, looking back at apps they offered for free and I missed (codes expire in about 30 days), there have been tons of times when my entire Starbucks order would’ve paid for itself in a free app that I actually wanted. Starbucks recently redesigned its Starbucks App, and although it got some mixed reviews, the one-stop shopping for about a month’s worth of free apps is still there. Just fire it up, log in, and scroll to the free apps on offer at the bottom. Tap Messages and you’ll see a list of all the other apps that were previously free (and probably still are). View the details for the Starbucks Pick of the Week and you can learn more about the app and see the expiration date. 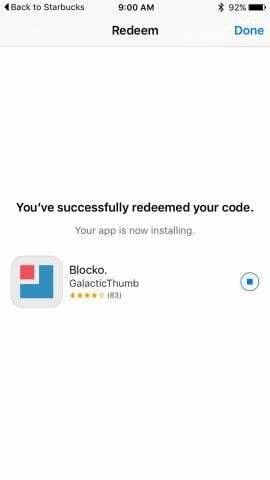 When you redeem your free app, you’ll be taken to the App Store with the code prepopulated. The free app is yours! 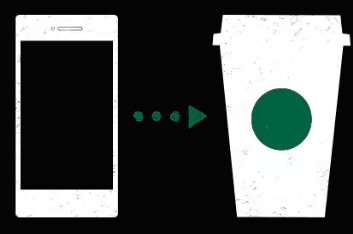 What else does the Starbucks app do? Starbucks is no longer giving away free song downloads. 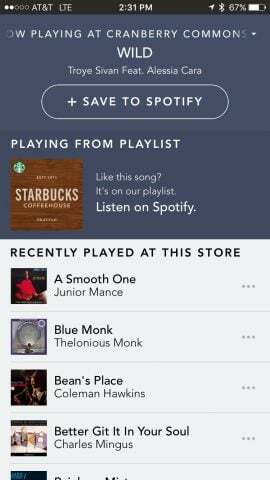 Instead, they’ve thrown in with Spotify and integrated the in-store music with both the Starbucks and the Spotify app. The Starbucks app is location aware, and it can tell you which song is playing in the store you’re at. If you like it, you can save it to Spotify. You can also see a list of previously played songs at Starbucks. All in all, the Starbucks + Spotify integration is a great way to get more information than you require about corporate coffee shop jamz. Sometimes I like to take the playlist home, pump it over a Bluetooth speaker, run two blenders at once, and put an old egg sandwich underneath an upside down Pyrex on my counter to recreate the Starbucks atmosphere in my kitchen. One time when I did this, some dude showed up and wrote a screenplay for a tech startup explainer video on his Macbook Air at my kitchen table. I had to give him my wifi password and everything. The point is, the Starbucks app is still a pretty groovy conduit for free apps and free-ish Spotify songs. Oh yeah, and you can still use it to track rewards and order coffee. Starbucks is primarily a coffee place, after all, remember? From what I’ve heard, the Starbucks Mobile Order & Pay is a great way to skip the line, but some of the product availability is occasionally out of whack. If your heart is broken because the app says they are out of your special brew, it’s worth it to pop in and ask a real live human being to confirm. Hey. So as of 9/6/16 I haven’t seen any free apps in the app. Did starbucks stop? I confirmed with Starbucks that the free Pick of the Week is discontinued. Bogus! I haven’t gotten any free apps in the Starbucks app since 9/6/16 either! What happened? Hi @Heather & @Judie — Yeah, looks like right after we published this article, Starbucks may…. have killed the program. 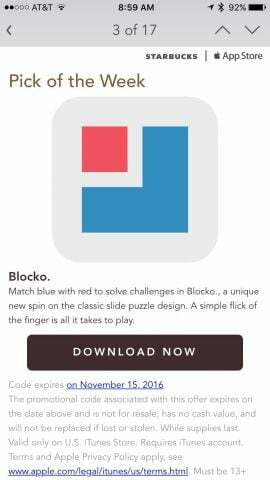 The last App available from Pick of the Week was the puzzle game VOI on 9/6/16. Nothing after VOI however. Can’t find any formal word from Starbucks so I’ll reach out to them and see what I can find out. Thanks Steve! I hope it’s just temporary! 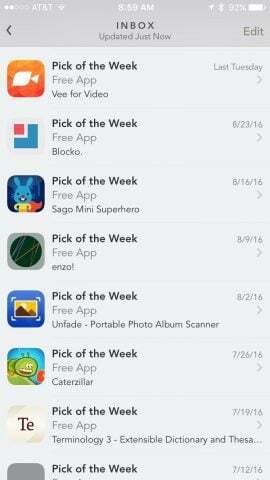 I’ve gotten some good apps from the Starbucks free pick-of-the week.